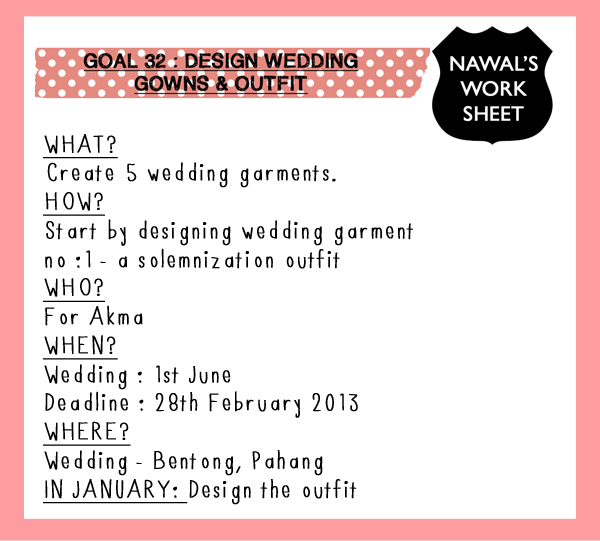 My first designing assignment of the year is to design and make Akma's wedding dress. Akma is my junior back in the university. We took Japanese Language together. She's now working in the television and getting married preetyyyyy soon! 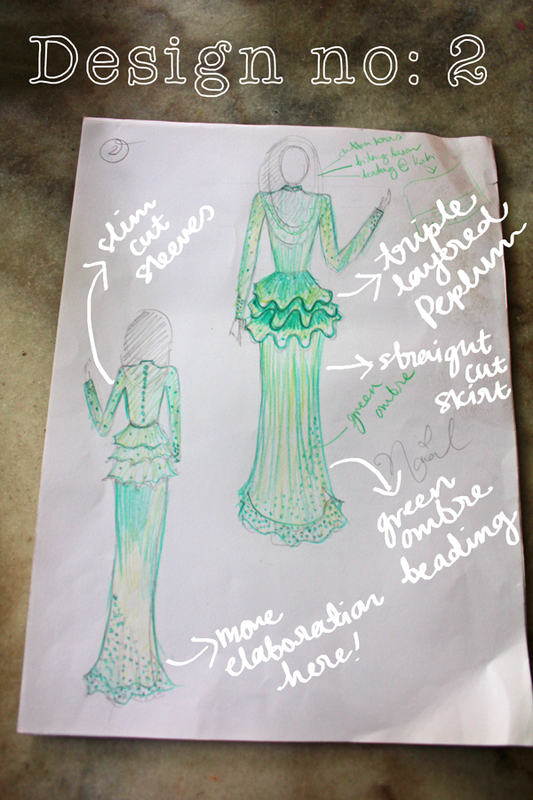 It was an honor for me when she picked me to design her Nikah dress. I was like...... what???? U SUREEEEE???? 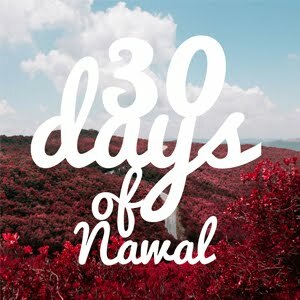 YEAYYY! I'D LOVE TO! 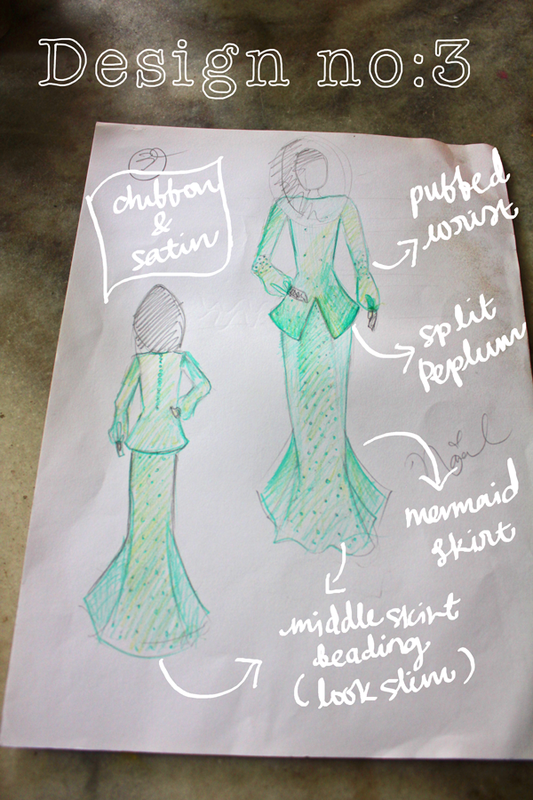 To add in the excitement, this would be my 1st time designing a wedding dress for someone. She gave me this beautiful green chiffon and lime satin. 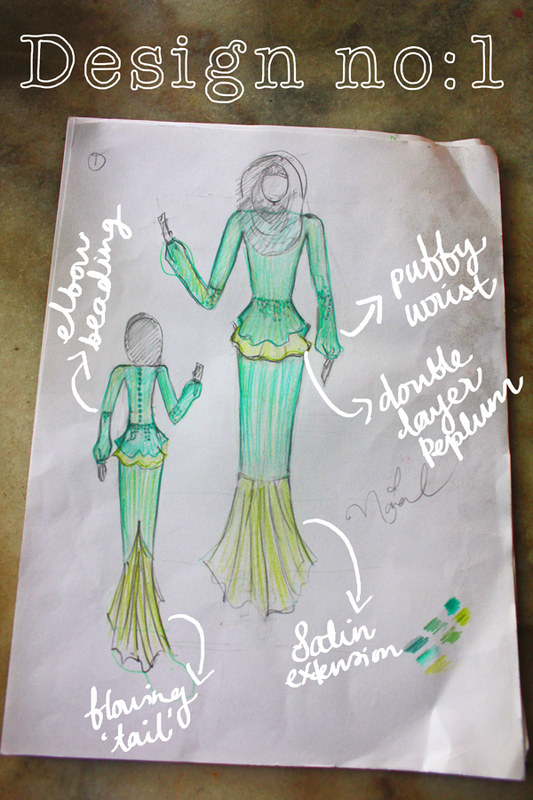 She wanted a Peplum based dress and beadings. ohkay and so I came up with 3 designs. Deyy mari la Rabu ni..